Off page SEO, backlinking, link outreach call it what you like, but the links to your website are a major factor in where your website appears in the search engine results. In this RankWyz review, we take a look at how you can use this web based tool to get to the top of the search engine results. Let's talk about links baby! As much as 60% of the ranking factors in the search engines comes from the links pointing to your website. That's a hefty amount. For some, links alone are enough to get them to the top of the SERPS (Search Engines Results Page). For many, they have chosen a 'white hat' strategy to getting these links. Or maybe they think they have. Many don't know that simply asking anyone for a link to your website is grey hat. Any form of link building cannot be deemed as white hat, because a pure white hat strategy is to simply write good quality, engaging content, share that content on social media and blogging platforms, then hope that others do the same. If you are a fan of the Kevin Costner movie Field of Dreams, this is the 'build it and they will come strategy'. If like me you spend hours on building your website, thousands of dollars, blood, sweat and imagination, simply leaving it to chance is not an option. Of course I want people to share my content, but sometimes things need a little shove to get them going. This is where RankWyz comes in. RankWyz has a ridiculous amount of features. Here is a sample of what is can do for you and your business, blog or money site. Build a network of high authority, niche relevant blogs and websites that you control. 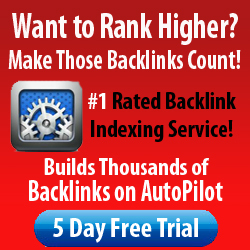 Build backlinks automatically to any website you want. Monitor all your websites and notify you if there are issues. Track any website, including your competitiors and give you Majetic, Moz and ahref stats about those sites. Monitor and track all the backlinks to any site you wish. Give you full control of content generation. Schedule when you want the content posting to your sites. Manage your PBNs, PBN plugins and updates. Track your positon in the SERPS. Build a tiered link building stucture. Auto post your content to your social media accounts and other Web 2.0 sites. That is a ridiculous amount of features and if you were to use RankWyz purely for a white hat strategy, it would still be amazing! Like I said before, sometimes your site needs a little shove to help it along, and this is where RankWyz steps in. For some they are in niches where a big shove is needed but the beauty of RankWyz is that no shove, little shove or big shove, it can help you achieve your goals. Sometimes your site needs a shove, this is where RankWyz comes in. RankWyz is not a magic, swallow this pill and you will be at the top of the SERPS. We all get enough of those emails bombarding our inboxes each day. 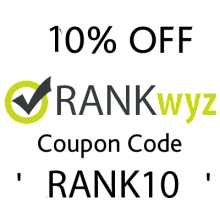 RankWyz is a tool to help you manage your SEO strategy. Without a strategy you cannot rank anything. It's like owning a racehorse but not having a course to run it on. The good news is that over the coming weeks and months, I am going to show you a few simple strategies and how RankWyz helps you to power up your strategy. The bottom line is though, that if you use RankWyz to execute your strategy, you will acheive remarkable results and save a shed load of time. The creator of RanWyz has put everything that you need, all in one place. Below is a sample of how RankWyz has help one of my sites. With those five things you have the ability to promote anything you like. Whether that is a cause or a business, RankWyz gives you everything that you need to build content, links and social signals.